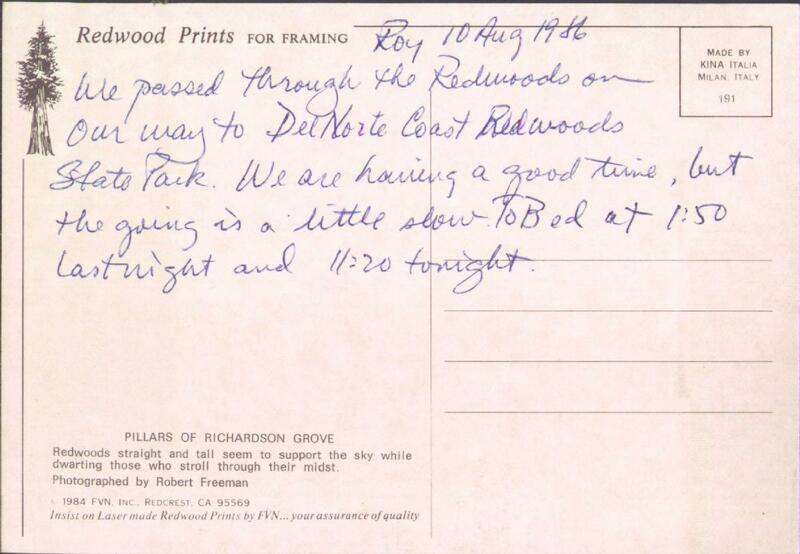 We passed through the Redwoods on our way to Del Norte Coast Redwoods State Park. We are having a good time, but the going is a little slow. To Bed at 1:50 last night and 11:20 tonight. 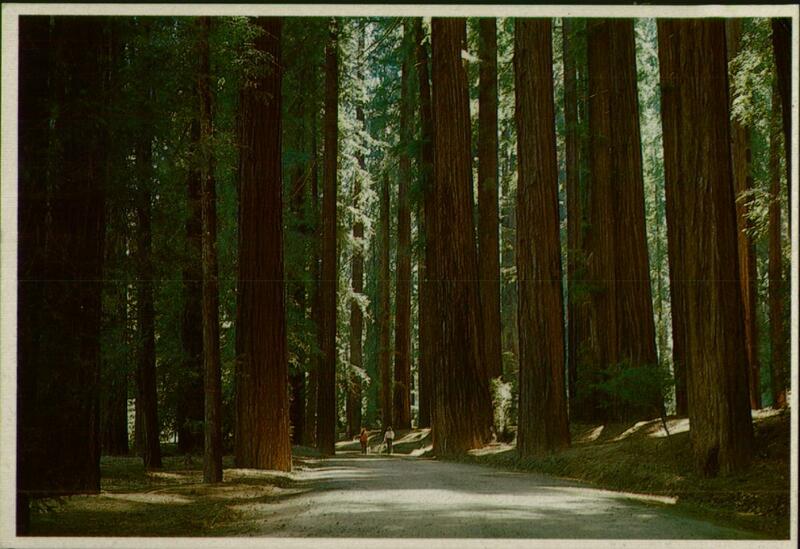 Another postcard from that alternate 1980s California where people used poetic constructions like "redwoods straight and tall", and in which everyday objects were laser-made. But you had to insist on the laser-made stuff, 'cause that was the good stuff.